In environments where people pass through frequently in large numbers, there is always a risk of contamination and increased quantities of bacteria. Because bacteria live for days to months (and even years) on surfaces, that bacteria has the potential of spreading from one person to the next through the surfaces we touch. 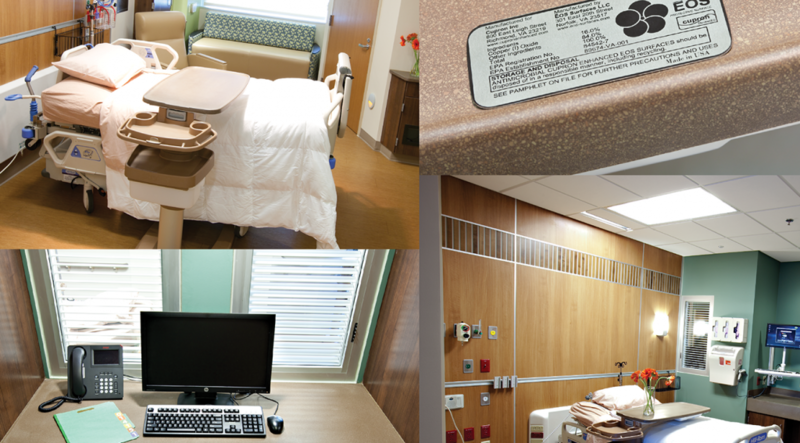 Antimicrobial Cupron Enhanced EOScu Surface is the first practical, EPA Registered product to arrive on the marketplace that kills bacteria within two hours, providing a reduced bio-burden and a pleasing, functional aesthetic. 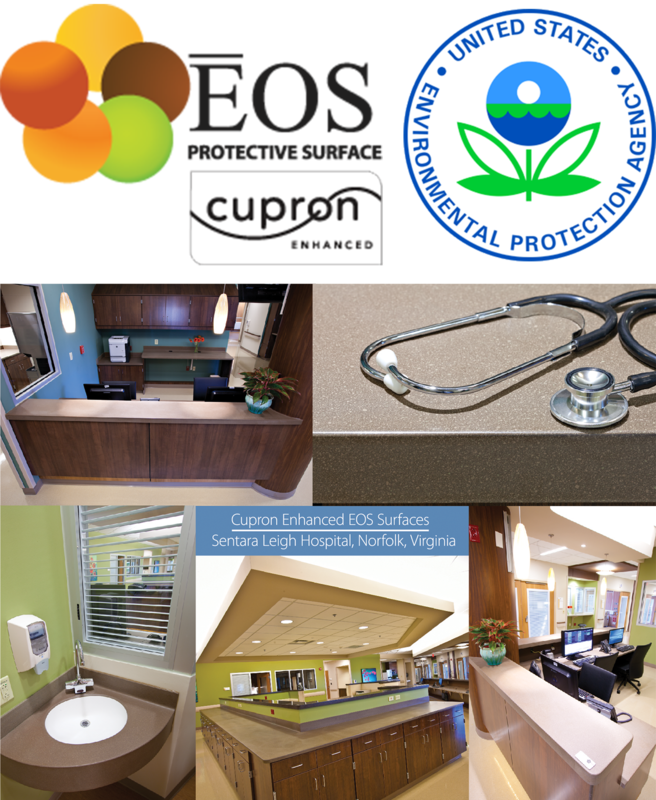 Cupron Enhanced EOScu Surfaces offer a warm alternative to copper alloys, the only other surfaces material with EPA Registered Public Health Claims. Cupron Enhanced EOScu allows you to enhance any project by offering an additional layer of protection and simultaneous, cutting-edge innovation that improves outcomes.